When it comes to the stock market, things could’ve gone better in the first quarter of 2018. The S&P 500 dropped about a percent in Q1. That is the worst quarterly performance for the stock market in the Donald Trump era. It is also the first time the market has posted a quarterly drop since the third quarter of 2015. But not all stocks dropped with the market. Indeed, some stocks actually had really good first quarters. And of those that did, a handful of them were stocks under $10 that managed to explode higher despite broader market turmoil. Here’s a look at some of those stocks under $10 that were big winners in Q1. The first stock on this list may come as a surprise considering terrestrial radio is dying. But radio service provider Sirius XM Holdings Inc. (NASDAQ:SIRI) was actually one of the bigger winners in Q1. SIRI stock surged more than 15% higher in the first three months of 2018. The context for the Q1 surge is important. Royalty hike concerns weighed on the stock in late 2017. In a move to defend content creators and hurt content distributors, the Copyright Royalty Board ruled that the SIRI’s license payments from 2018 to 2022 would have to be 15.5% of gross revenues versus the previous rate of 11%. SIRI issued a statement in December saying the move could be material to results. SIRI stock dropped from the upper $5’s to the lower $5’s. But then SIRI announced better than expected subscriber numbers for 2017 in early January. The company also issued pretty good 2018 guidance, a big surprise considering investors were looking for weak guidance thanks to the hike in royalty payments. Nonetheless, both revenue and EBITDA are expected to increase next year, despite the royalty hikes. Investors were impressed. They were even more impressed when SIRI boosted its buyback program by $2 billion in late January. All together, SIRI stock soared in January. And it held most of the gains through a turbulent February and March as buyout rumors, steady growth, lots of cash flow, big buybacks and potential for a turnaround in terrestrial radio have made SIRI a defensive stock. The second stock on this list may come as an equally big surprise as the first stock considering mall retail is supposed to be just as dead as terrestrial radio. 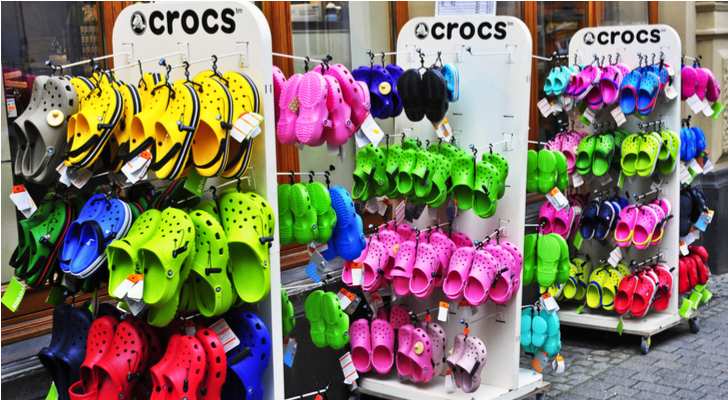 But you wouldn’t guess that by looking at the stock chart of Crocs, Inc. (NASDAQ:CROX). CROX stock finished the first quarter up nearly 30%. More than that, CROX stock has nearly tripled over the past year. And it has gone from the under-$10 mark to holding and sustaining levels above $10. What is driving the huge turnaround in CROX stock? Naturally, a huge turnaround in the operating results. This whole turnaround started back in May 2017 when the retailer reported Q1 numbers that topped expectations across the board. The whole narrative inflected in the right direction. Revenue declines moderated after several quarters of sharpening drops. Gross margins dramatically improved after several quarters of compression. And earnings growth was positive after several quarters of declines. This trend continued in Q2 and Q3, where revenue declines continued to moderate and gross margins continued to expand. Then, in the all important holiday quarter, CROX announced that revenue growth inflected into positive territory. And not small positive territory. Constant currency revenue growth was nearly 4% in the fourth quarter. Next year, management guided for revenues to be flat year-over-year, but for gross margins to continue to ramp back up, operating expenses to fall sharply and operating profits to nearly triple year-over-year. All together, this is a big a turnaround story. And the stock performance over the past year and in Q1 reflects that big turnaround. The third stock on this list is just as surprising as the first two because its golden day has come and gone. 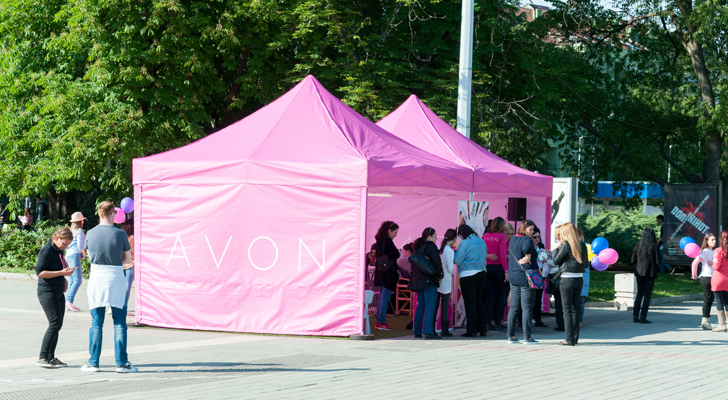 Cosmetics company Avon Products, Inc. (NYSE:AVP) has seen its sales shrink, its margins compress, and its stock fall sharply over the past several years. Over the past five years, AVP stock has traveled from $20 and up to below $2. But there is finally a light at the end of this dark tunnel. AVP stock has bounced off its sub-$2 lows reach last November and actually posted a first-quarter gain of over 30%. Why? Because sales are stabilizing and margins are improving. This was best seen in the company’s fourth-quarter report, which was the big catalyst for AVP stock in Q1. Revenue growth was still negative (down 2% in constant currency), but if you back out the troubled Brazil market, sales were flat. Meanwhile, gross margins are roaring higher thanks to improved pricing trends and operating margins are roaring even higher thanks to big-time cost savings. That is a pretty big deal. This is a beauty brand with global recognition and reach. But AVP stock trades at only 0.2-times sales. Thus, if margins ramp on a pretty sizable sales base, this stock could explode higher. That is why AVP stock soared 30% higher in Q1. Whether these explosive gains continue hinges on whether margins continue to ramp higher. Article printed from InvestorPlace Media, https://investorplace.com/2018/04/3-stocks-10-exploded-higher-q1/.